Speakman's SE-572 eyewash is counter top mounted and is designed with two aerated plastic sprays which have automatic flow control. 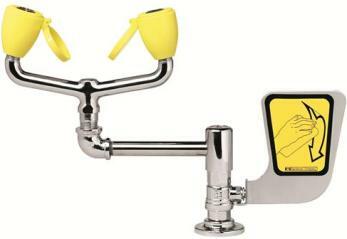 This eyewash is activated by a paddle handle and swivels 90 degrees. The paddle handle is made of stainless steel and the valve is chrome-plated and made of female brass.